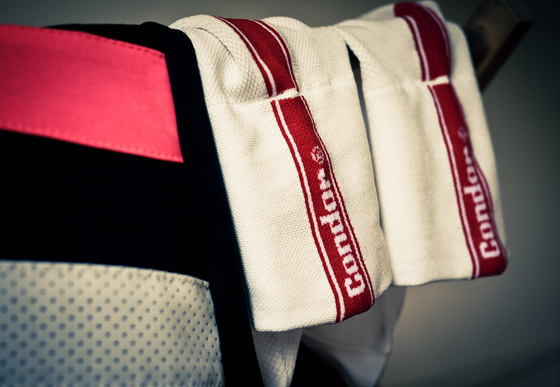 Condor Cycles have released a new model of sock just in time for summer, this time tipping a nod to the cool euro styling seen on PRO racers within today's peloton. Their lightweight-tech white sock features a simple striped contrasting rear logo (available in both black and red, perfect to pick the coordinating colour to your S-Works heel cup!). In a longer incarnation of their previous sock, the race model boasts a 7cm long cuff section, perfect for those looking to enhance their bronzed pins for uber-euro points. Priced at £8.99, I can confirm from the featured pictures that even after a decent 40 wash cycle, the socks came out like new. A welcome piece of information for those prone to heavy washing of their kit. The midfoot section is crafted from a meshed version of the microfibre yarn, improving ventilation to this part of the foot, along with ease of moisture transfer - bound to a nice bit of respite on those hot summer days in the saddle. The toe and heel area offers a thicker blend of fabric, resulting in a comfortable and secure fit. The socks are available in-store now, in two sizes, a S/M & M/L. Alternatively, those non-London residents can ping the good folks at Grays Inn Road an email or phonecall and take advantage of friendly mail order option. 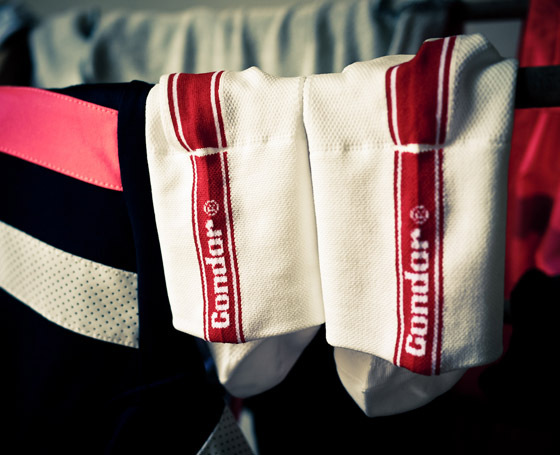 Another nice sock staple to add to the summer riding wardrobe. I'm not sure how people are able to wear such thin socks. I definitely have narrow feet, which causes some issues, but I simply cannot wear these gauze-thin cycling socks. If I do my feet slip around and pull in my shoes. Nice looking socks, but these type don't work for me. I have to go with the "light" version of smartwool socks. Just thick enough to take up the space left by by very narrow feet. But, seems odd these work for so many cyclists, a lot typically long & lean. Doubt many of you have thick, workman-like feet. Got a couple of pairs via mail order last week. 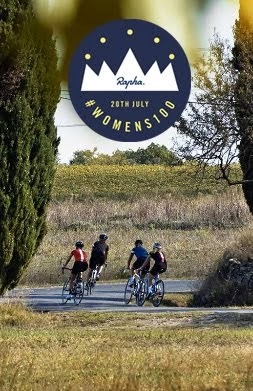 Very nice socks and better than the Rapha pro team if you ask me. I prefer the longer length and the design is ideal for warmer riding. I have rarely read such complete twaddle.